Example: Copper from a previous preparation is deposited on the surface of the sample, Mag. 200x. 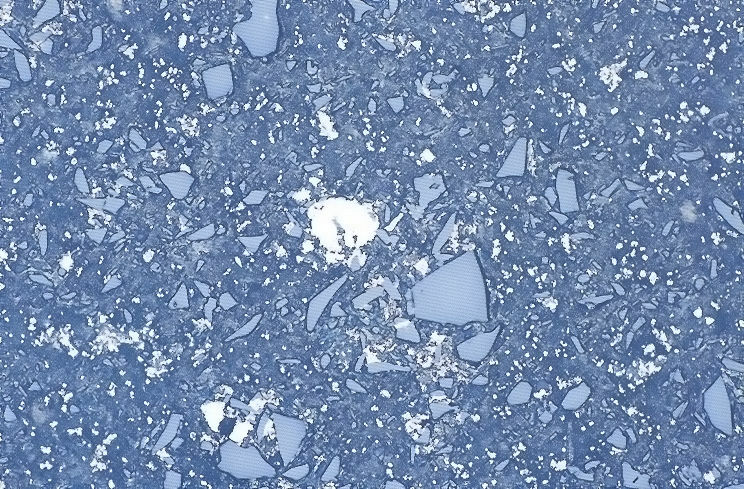 Material from a source other than the sample itself which is deposited on the sample surface during mechanical grinding or polishing is called contamination. Contamination can occur on all type of material. During polishing, possible dirt particles or material removed during a previous step can be deposited on the specimen. Microscopic examination can show "inclusions" or parts of a structure which should not actually be there. Reference: Metalog Guide, page 88-89, Struers A/S, 2610 Rodovre, Dennmark. Note: Image and text by courtesy of Struers A/S company.